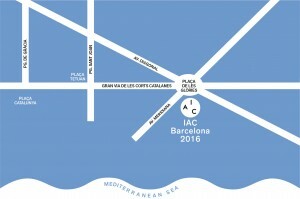 The 47th Congress of the International Academy of Ceramics (IAC), will be held in Barcelona, September 12-16, 2016. 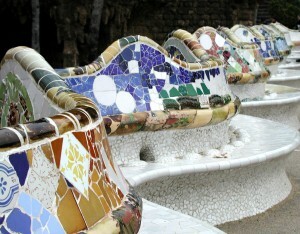 It is conceived as a meeting place for discussion and study for about 300 participants from around the world, and will be complemented by visits to iconic ceramic heritage locations of the city and Catalonia, as well as cultural and entertainment events coinciding with the celebration of the General Assembly of the Academy. A pre-congress tour will consist of visits to cities in the regions of Aragon and Valencia with interesting ceramic traditions. A post-congress tour is proposed, with visits to Andalusian cities of Seville, Cordoba and Granada, all with marvelous ceramic places of interest. The central theme of the Congress Barcelona 2016 will be “Ceramics in Architecture and Public Spaces”, a topic of great relevance that remains relatively unstudied and discussed. There are strong reasons for the choice of this theme for the Congress. Barcelona and Catalonia are home to first-rate architectural works in which ceramics have played key roles, particularly during Modernism (Art Nouveau in Catalonia and Spain), with buildings by Antoni Gaudí, Lluís Domènec i Montaner and Josep Puig i Cadafalch. It is also home to significant installations of sculptures and ceramic works by artists such as Roy Lichtenstein, Eduardo Chillida and Joan Miró. 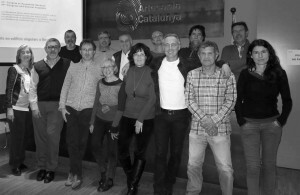 The 47th Congress of the Academy in Barcelona is being organized by the Association of Catalan Ceramists (ACC) and by the Academy. Co-organizers include the Barcelona City Council, Government of Catalonia (Generalitat de Catalunya), with additional collaboration from other public institutions, museums, associations, art galleries and companies. All of these elements represent broad political, social and cultural support, which ensures excellence and success in this important ceramic event of worldwide scope. 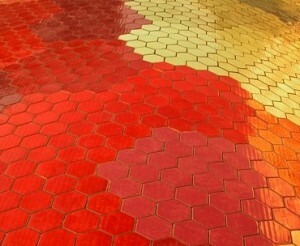 A website specializing in Architecture and Ceramics.